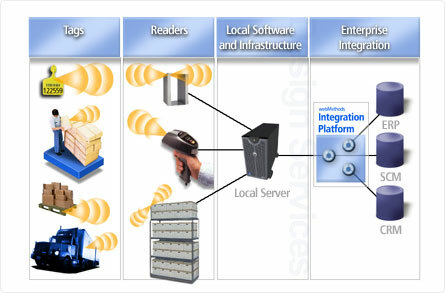 RFID stands for Radio Frequency Identification. It is a method for identifying and tracking products (assets) through radio waves. We provide turn-key RFID solution from site assessment, analysis of goals & objectives to determining the correct type of chip, antennae, software and hardware requirements as well as hands on training. We calculate your ROI and determine whether this investment makes economic sense for you! Our sister company, Pharmawave Inc., specializes in RFID solutions strictly for the Pharmaceutical and Health markets. Contact us for more information.